Taking Care of Me: Where are my shoes? 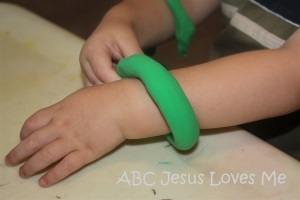 - ABC Book: Place a few macaroni noodles in a zip-top plastic bag. Add couple of drops of vinegar and 4-5 drops of orange food coloring. Mix to distribute the color. Open the top of the bag and let dry. Using the Queen worksheet, place a thin layer of glue on the paper. Add the colored macaroni to create an orange crown. Handprint Wall - Add an orange handprint to your color wall by painting the child's hand and stamping it onto a piece of paper. 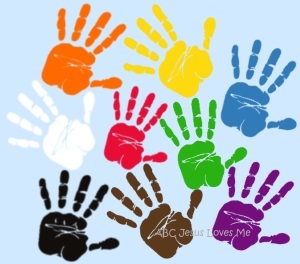 Write the name of the color on the handprint. Display it at the child's level to point and discuss the colors. Play Dough Shapes - Roll orange play dough into snakes and lay on the Star worksheet to form a star. Allow the child to play with the star as you discuss the shape. - Drop a few dots of orange paint on the Cow worksheet. Let the child spread the paint with a cotton swabs. - Find pictures of cows in the books that you read. - A cow says "moo." - Crawl on the floor and moo like a cow. - Have the child echo your sounds. - Point to orange objects in the illustrations. - Point to the cow in the illustrations. Play Hide and Seek. Take turns hiding and seeking.